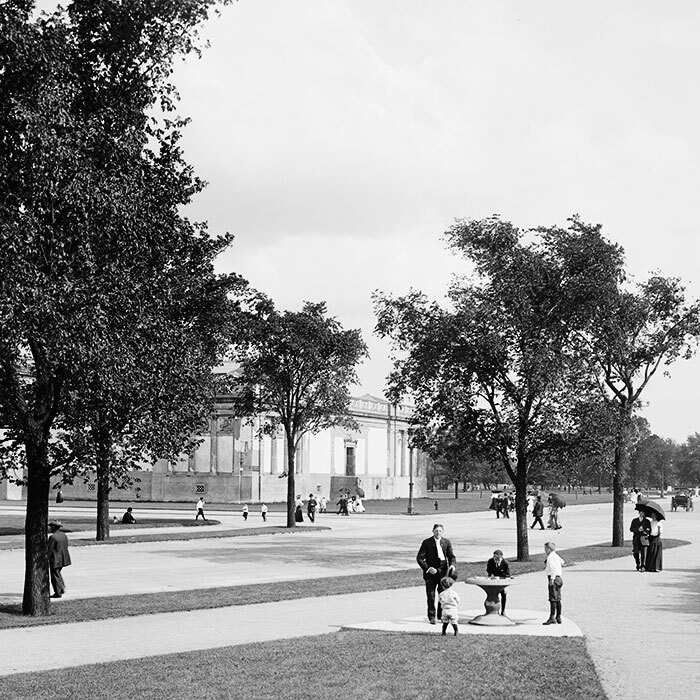 Enjoy a ride on America’s first “parkway,” designed by Frederick Law Olmsted as a tree-lined oasis for city dwellers. 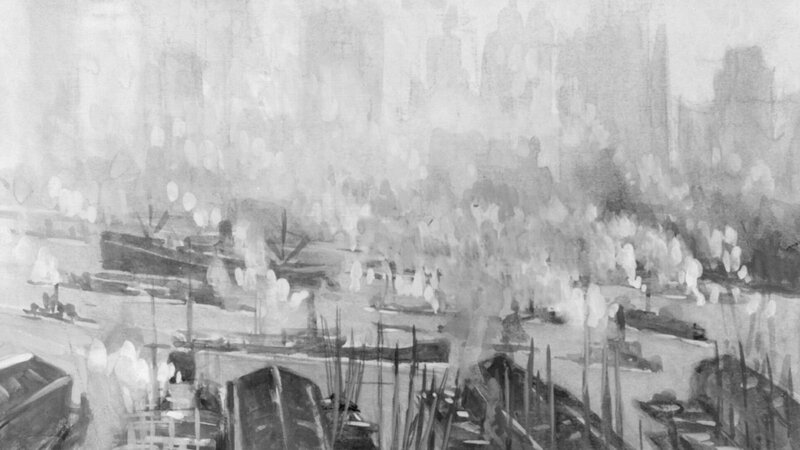 In the middle of the nineteenth century, the pollution and overcrowding brought about by the Industrial Revolution were making life miserable for city dwellers. In much of New York City, fumes were so thick that they darkened city skies, while traffic snarled the streets below. 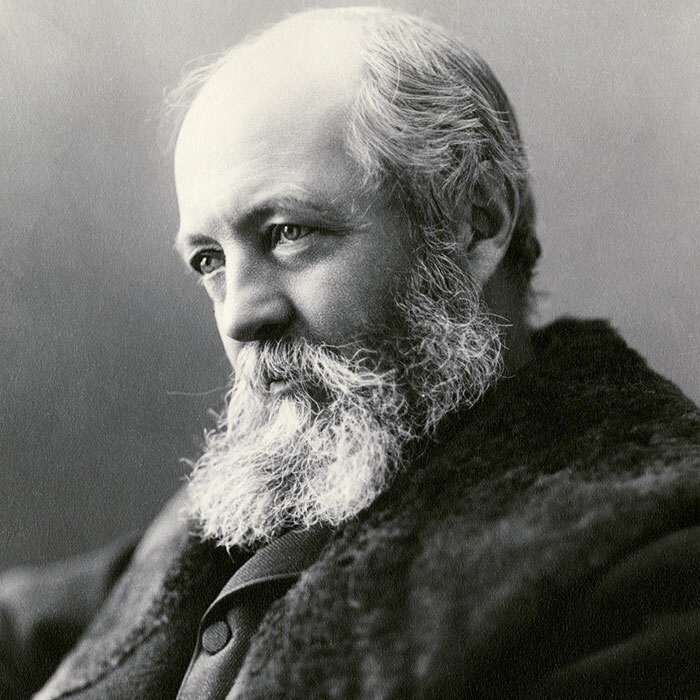 Landscape architect Frederick Law Olmsted, the designer of Central Park, believed that New York needed more greenspace, particularly in residential areas, where workers wouldn’t have to go too far out of their way to enjoy it. Olmsted gained international acclaim when Central Park opened in 1859. Thousands of visitors flocked there to skate on its frozen ponds, stroll among its leafy trees, and go for joy rides in their upscale carriages along its paths. 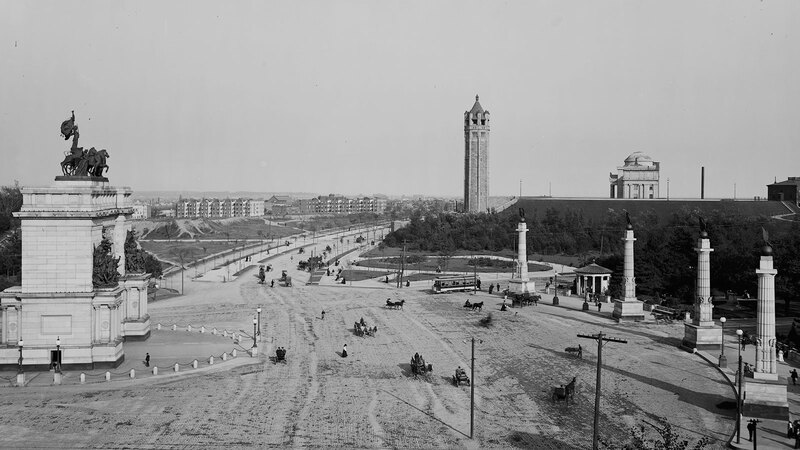 By 1865, more than seven million people a year visited Central Park. 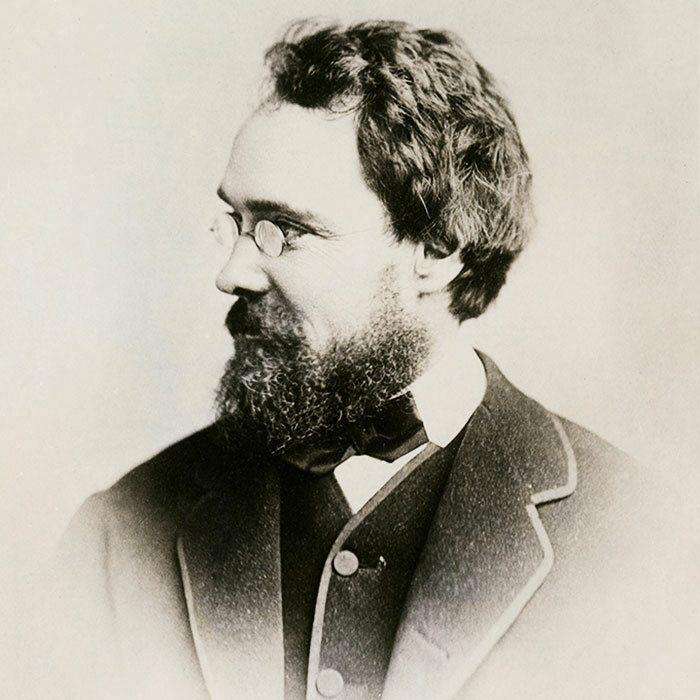 City leaders in the emerging city of Brooklyn, across the river, hired Olmsted and his partner, Calvert Vaux, to design what they hoped would be an even better version of Central Park: Prospect Park. 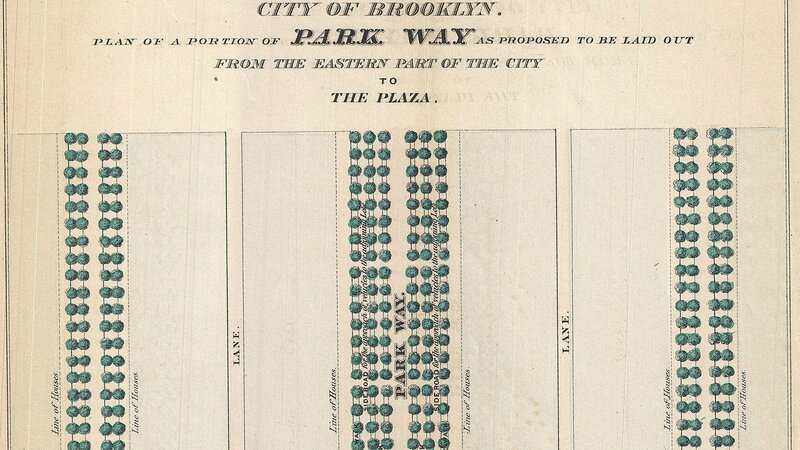 But when Olmsted and Vaux presented their plan for Brooklyn’s new park in January 1866, they went a step further. They proposed something completely new: a parkway. It would be a new kind of roadway, “picturesque in character” and “bordered by a small belt of trees and shrubbery.” The main, 55-foot-wide, central roadway would be a pleasure drive, reserved for carriages and other light vehicles and lined on either side with 35-foot malls where residents could play, stroll, and relax. Olmsted and Vaux’s vision was to create a vast chain of parks and landscaped parkways, forming a continuous leafy route, or a “shaded green ribbon,” running throughout the New York metropolitan area. It would stretch north into Westchester County and south into New Jersey, eventually allowing for a picturesque carriage ride all the way from the Atlantic seashore to the Palisades along the Hudson River. Construction began in 1870, just years after the invention of the first steamroller, key to its success. Workers were able to compact gravel roads, creating a smoother, firmer road than previously possible. 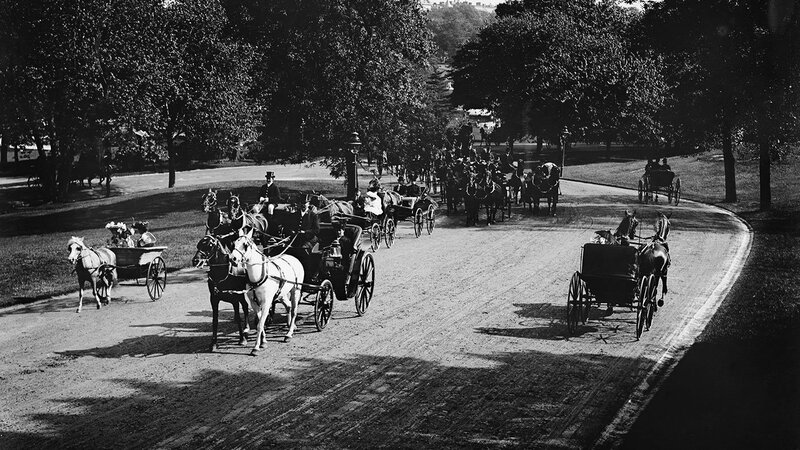 Just before the Eastern Parkway opened for traffic in 1874, carriage rides had also grown more pleasant, with better brakes and suspension systems. Pleasure rides surged in popularity among America’s elite. City leaders limited access to the road, requiring delivery wagons to use outer service roads, and prohibited “noxious or offensive” businesses – including slaughterhouses, foundries, and glue factories – from setting up shop along the parkway. Brooklyn’s parkways also incorporated some of the nation’s first designated bike lanes. But the truly radical element was the trees. 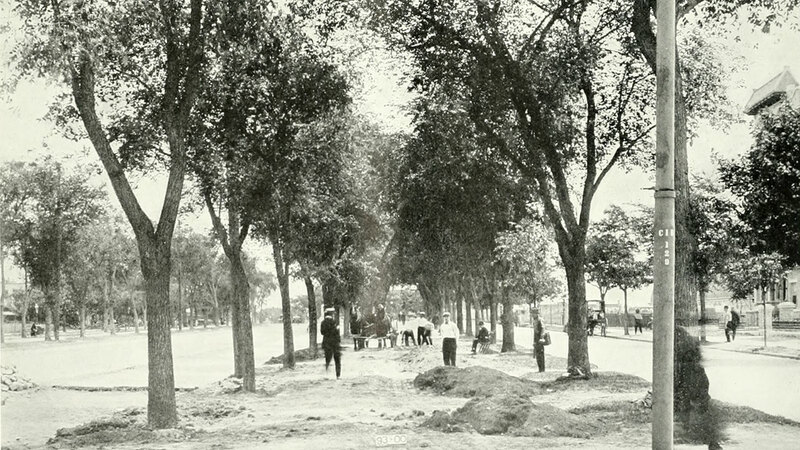 At the time, trees were a rare sight on city streets. The new parkway system was lined with hundreds of leafy trees. While New York’s regional system of parkways and parks, as Olmsted and Vaux conceived it, would never be fully realized, Eastern Parkway soon inspired the construction of scenic drives across the country – in such cities as Boston, Buffalo, and Chicago – well into the age of the automobile. And many of them were designed by the original parkway architects, Olmsted and Vaux. 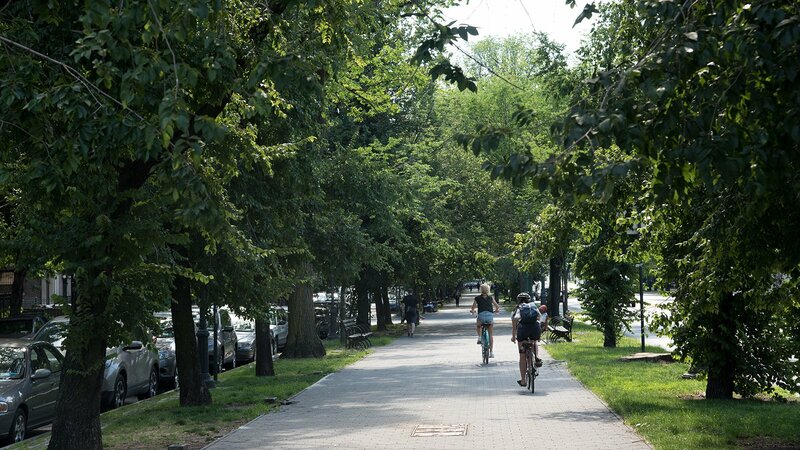 Today many of these parkways continue to be celebrated for the benefits they provide to urban residents and infrastructure: improving air quality, stormwater retention, and of course, access to a calm oasis of public green space in urban environments.